South Auckland Marine is in its 33rd year of operation. This makes us not only one of the longest established marine dealerships in the Auckland region, but one with a vast experience in the marine industry. 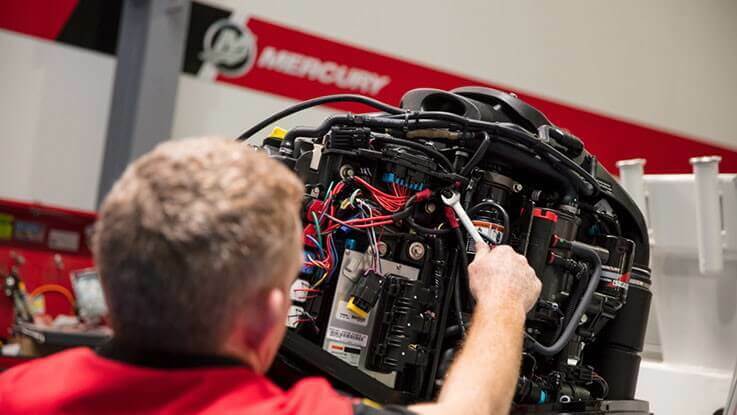 We pride ourselves on having a vast knowledge of the marine industry in all major engine brands and boating brands. We are also Mercury and Mercruiser agents, and have workshops that service all makes and models. On site we have a marine based retail shop that specialises not only in products for your boat, but also a wide range of trailer parts, fishing gear, bait and ice supplies, stainless and rigging hardware, and everything in between. Boating to us at South Auckland Marine is not just a past time activity, all of our staff enjoy a spot of fishing whether it be blue water, inner harbour, or land based fishing. This means we do what you do, that boating is a passion.